Okay, so technically it's not the fifth of November anymore, but close enough! I love bonfire night, it's a big thing round my way to go to a big display, get really cold and muddy and trudge home. It's a bit of a tradition to get wrapped up, and it's a really nice way to spend time with friends and family, as fireworks are suitable for everyone! 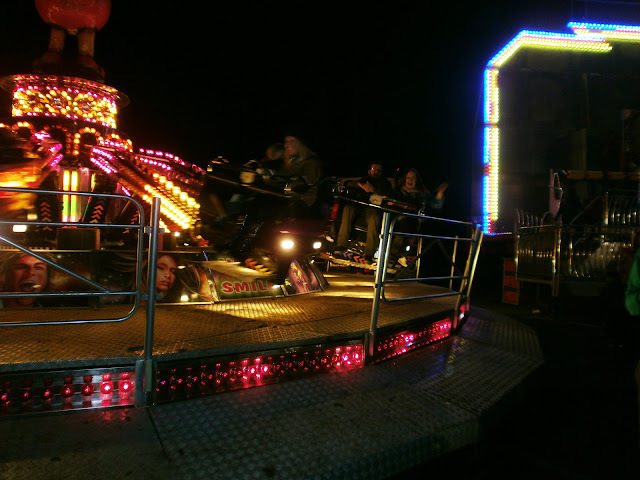 And it's all a bit of fun really, especially if you go to the big free ones. I definitely prefer Bonfire Night to Halloween, any day. There used to be a big display a stones throw away from my house, in the big local park, but it's long been cancelled due to health and safety (yawn, boring) So last night me and my friends hopped in the card to the next town, St. Helens to one called A Spark in the Park, in Sherdley park. It's free to get in and it really is amazing. 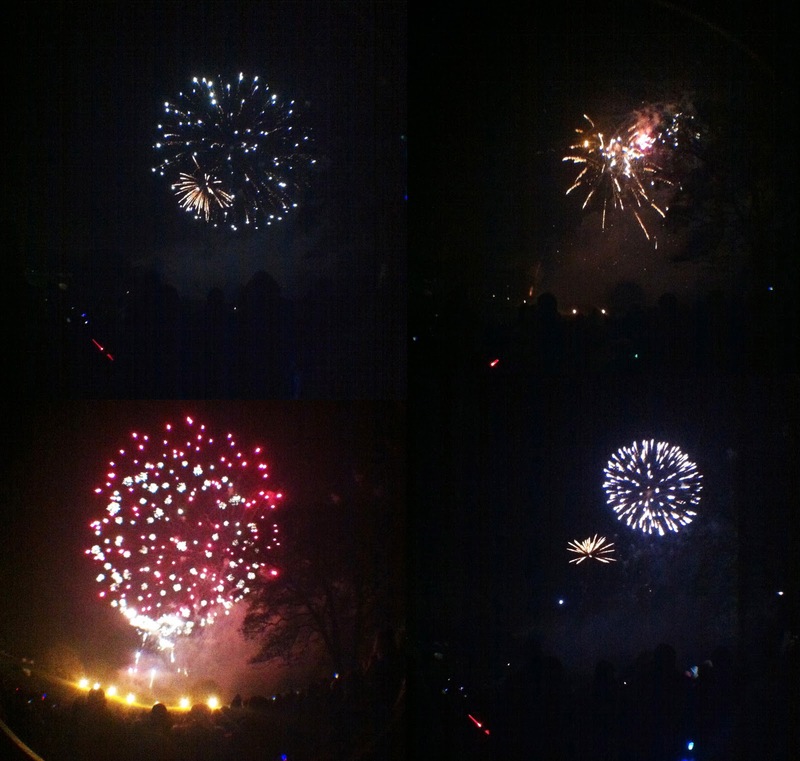 It had two firework displays, a tamer one aimed at kids and a large one which went on for half an hour which was amazing! 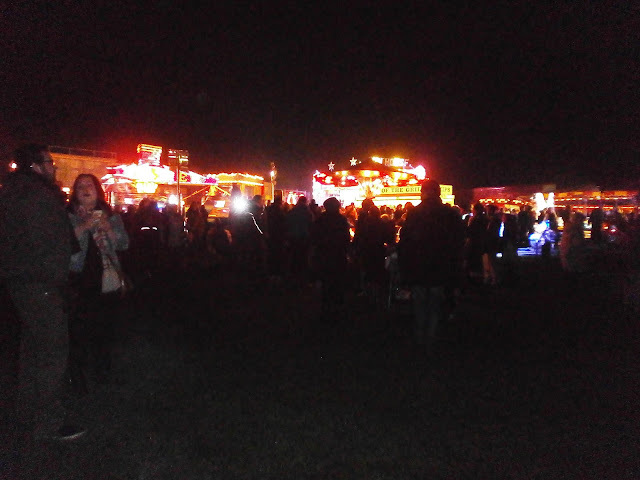 Me and my friends went and we ate crappy hot dogs, sweets and went on fun fair rides, then saw the big firework display. 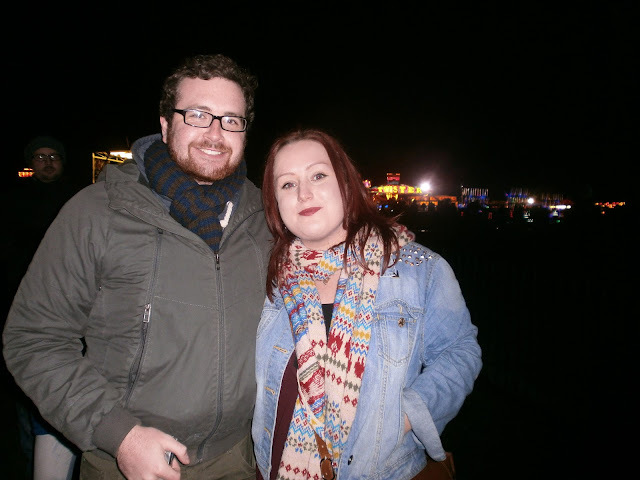 They don't know, they're appearing on my blog, but they dressed up very nicely for the fireworks too. 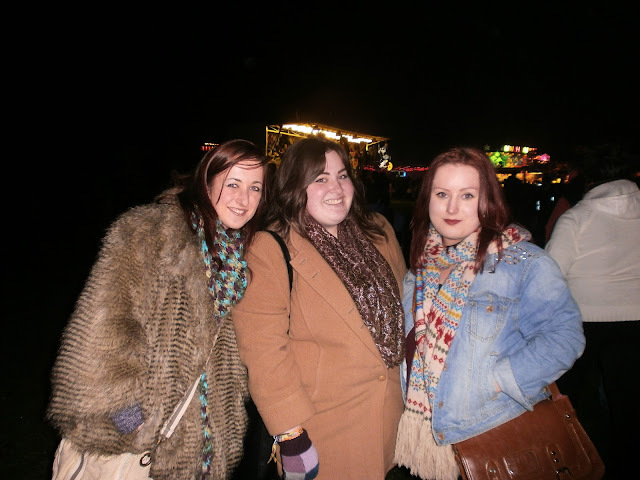 I loved Lucy's Printed scarf, and Adele's amazing massive faux fur coat. Anyway, following on from my Toffee Apple Bonfire Night post from yesterday, I thought this would be a great post to show my cheap winter coat that I love. I picked this coat up last year when I was in London, during the winter months with only a thin cardigan and a leather jacket to keep me warm. It was in a charity shop in Brighton for a mere fiver and it hit the camel coat (that was very popular last year) trend on the head. I thought a fiver was amazing, only because ASOS curve had a similar one for (I think!) £100? If I'm wrong, please correct me. It's well worn, oversized, and is so warm too. I usually pair it with this brown and gold scarf from the Manchester Christmas Market I bought a few years ago, or when I need to glam it up, a faux fur black stole, also from a Brighton Charity shop. 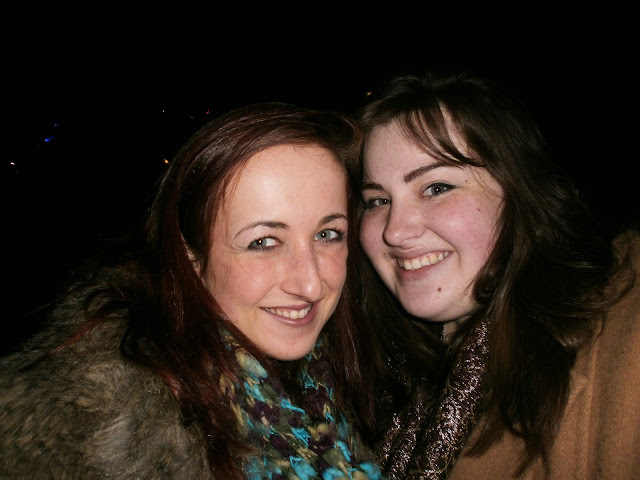 I hope you all had a nice Bonfire Night if you did anything! And hope everyones week goes well. I'll leave you with a few shots of the fireworks I managed to get. aww looks fun! Fab photos.